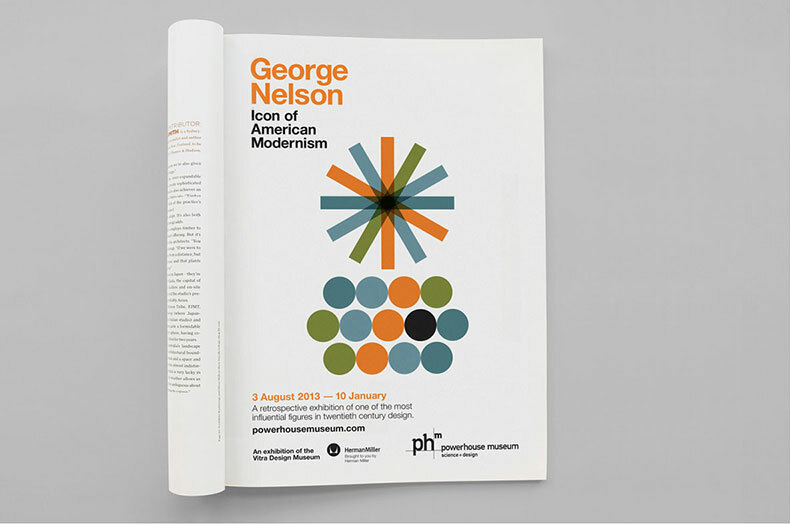 George Nelson was one of the most influential figures in American design in the twentieth century. 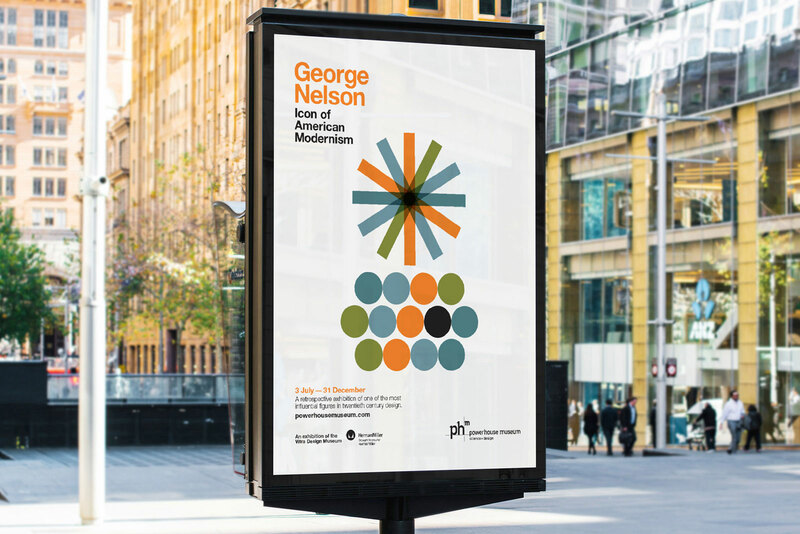 This exhibition explored his visionary works, who was not only a leading designer and notable architect, but also a prominent author, editor, lecturer, exhibition designer, and a passionate photographer. 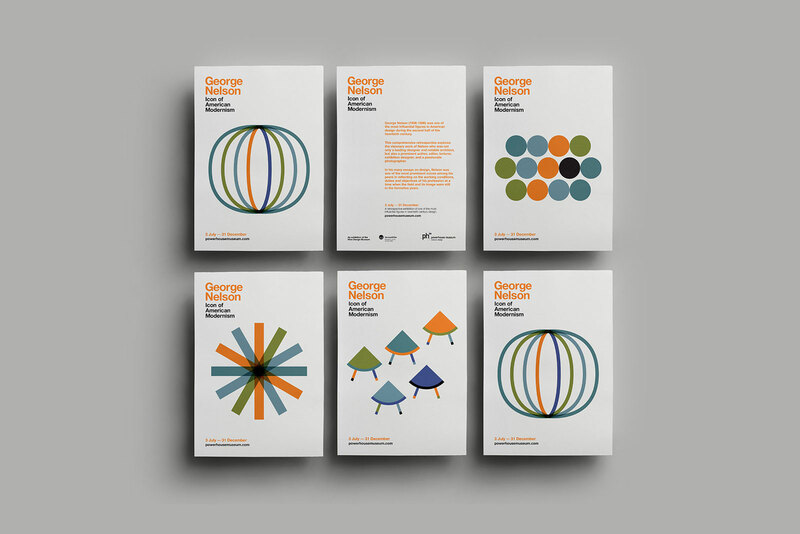 We worked with the Powerhouse Museum to develop an identity and campaign for the exhibition. 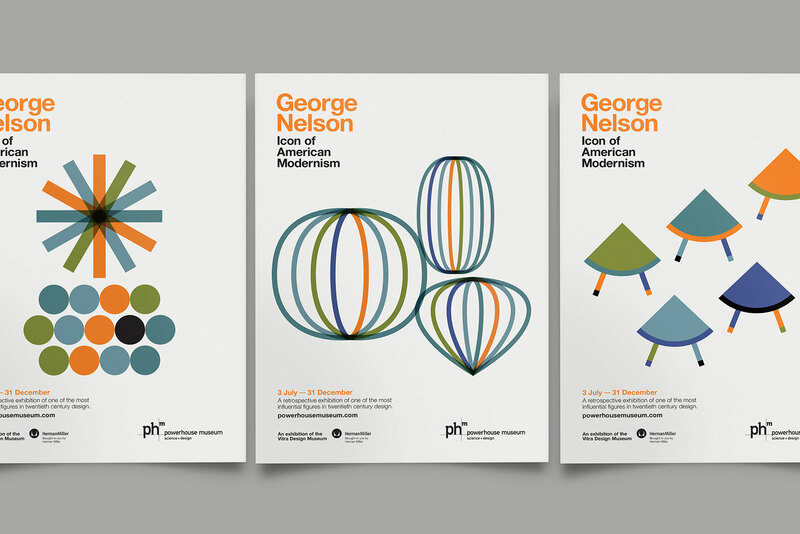 The graphics were modern interpretations of George Nelson’s most famous pieces, including the ball clock, bubble lamp, coconut chair and marshmallow couch. The exhibition travelled from the In Vitra Design Museum, Germany as part of the Sydney Design festival.